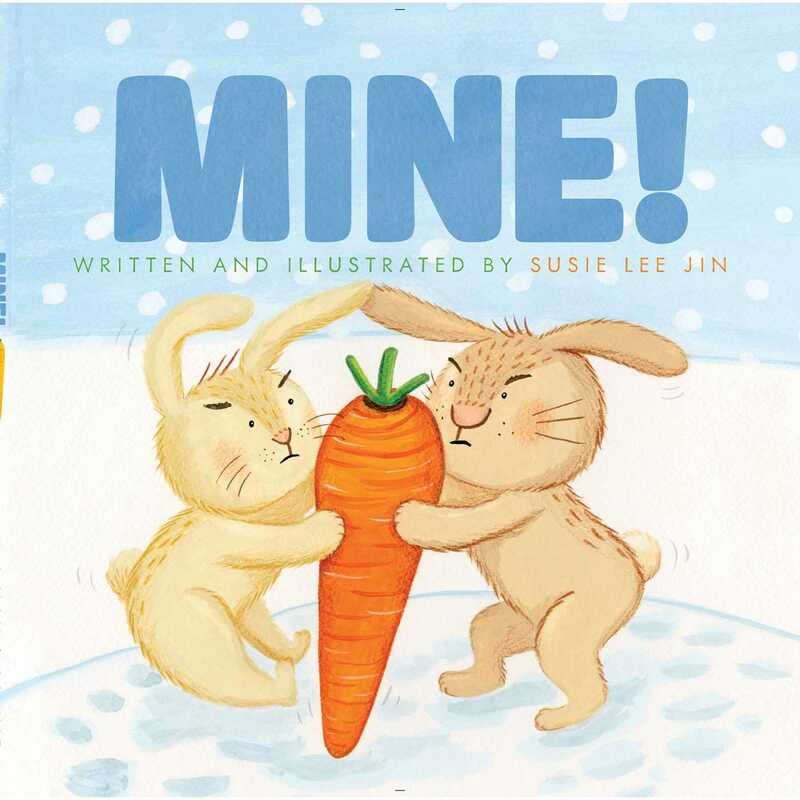 Several competitive bunnies compete in an epic battle to claim a single carrot in this hilarious and sweet debut picture book about sharing. Mine! No, Mine! No, Mine! Yours? Wait...ours? Who does the carrot belong to? For a bunch of adorable bunnies, that question is up for an endless debate. Each bunny stakes a no nonsense claim on the juicy orange veggie with a resounding “Mine!” But as the chase heats up and a snowman gets in on the action, the battle for the carrot begins to get out of hand. Will the bunnies find a way to stop the madness…and share? Told with only four words and filled with energetic illustrations, Susie Lee Jin puts an inventive twist on the concept of sharing with this laugh-inducing tale. 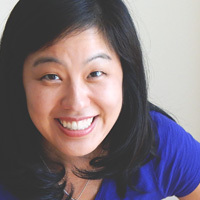 Susie Lee Jin grew up in Rocky Mount, North Carolina. The second of four children, she is no stranger to the word “MINE!” Her gracious parents continue to inspire her to joyfully share. Susie now lives with her husband and son in northern New Jersey. Mine! is her first picture book. For more about Susie, please visit SusieStudio.com. "This nondidactic story is a natural for collections about sharing, effectively softening the natural tendency toward possessiveness of most living things through its sweet illustrations." "Jin’s debut is a ridiculous romp and a positive lesson in sharing"
"will appeal to both storytellers and listeners alike"
Book Cover Image (jpg): Mine!